C&J Rentals have both new and used marquees for sale available in all shapes and sizes, made to the highest quality by a leading American Manufacturer. Our traditional looking marquees for sale are perfect for weddings, parties and corporate events and look stunning in any setting. 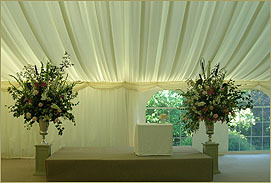 Made with strength in mind, these marquees are often purchased as long term installations at wedding venues as well as to marquee companies throughout the UK. Our marquees for sale are suitable to use on both grass or hard standing surfaces and have the height and style that many people seek in their wedding marquee. 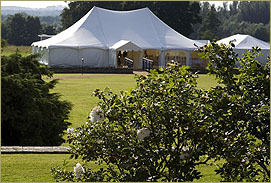 Browse our range below or buy a marquee direct by contacting Charlie Howie at C&J Rentals on +44 1748 811511.